Our modern sense of historicity is only about two hundred years old at most. Before that and particularly prior to the Renaissance, history, or even autobiographies were conglomerates of fact, embellishments, legend and even religion and philosophy. Thus a medieval writer might allude to an event in his or her life, implying that it actually happened to them even though we cannot help but recognize it as a slightly altered experience of Paul of Tarsus. Today, we would call that fraud or plagiarism, though it is most likely the writer didn’t intend either. First of all, everyone would know the experience came for Paul and understand that inserting this into the ‘autobiography’ is done for effect. The Chaldea Oracles are of course much older that that example. The ‘Oracles’ are not really oracles and they are only attributed to Zoroaster who might have been a mythical rather than historical figure ( or both). Alternatively there may have been more than one Zoroaster. This is virtually identical with the transmission of Hermetic Philosophy. The date of writing and reception of the Hermetica is widely disputed. To a lesser extent even the place of origin is in question. Nevertheless, it needs to be said that Pliny the Elder writes “Eudoxus, who wished magic to be acknowledged as the noblest and most useful of the schools of philosophy, declared that this Zoroaster lived six thousand years before Plato’s death, and Aristotle agrees with him.” (Natural History Bk. 30 p. 255). Pliny isn’t a fan of ‘magic’ and this actually lends to his credibility. he also tells us that Democritus, Pythagoras, Empedocles and Plato traveled to Persia to learn from the Magi.(ibid.257). This estimation is also found in Hermippus, Pliny H. N., 2; Is. et Os. 46; Schol. Plato’s Alcibiades, i. 122; De Vita Philos. Prooem. 2; Lactant. Institut. vii. 16; and cf. Suid. s. v. Zoroastres. Pliny is also one of the better sources we have of the Roman view of the Druids. It’s fairly clear that the Magi and Druids were closer in sensibility and practise than has been assumed. Zarathustra is widely considered to be the originator of astrology as well as magic, in the Persian and Greek traditions. Certainly in the Hellenic and Renaissance tradition he is a sage of deep antiquity and this perception made Zoroastrianism and its precepts the perfect example of the prisca theologia. Although dates as early as the mid-fifth century B.C, have been proffered for the birth of Zarathustra, there is no proof of this at the time of writing. Influences that can hardly be explained in any other way need to be considered. The origins of traditions from Mahayana Buddhism to the Abrahamic religions is easily traced, if the earlier date is accepted. Judaism is the oldest of these and the Persian influence is well established. Indeed, even the word Pharisee itself is a corrupted form of old Persian for what we would now call Parsi, even though the two groups are vastly different. During the reign of Cyrus, the Jews were released and a new temple was built with Persian money. Michael David Magee asks “Is it not curious that Zerubabel, a Jewish leader, should have a distinctly Babylonian sounding name, and one that in “Zeru” suggests “Zara” (Zoro), the beginning of Zoroaster’s name, the latter part simply meaning Babylon? Zara pertains to the sun and seems to have connotations of “power” or “strength” and so “protecting” or “saving”. Zerubabel is the “saviour from Babylon”. The same is true of a later and more famous Jewish leader to “return”, Ezra, where again we have the characteristic consonants “ZR” appearing in a language which did not write vowels, so that it could equally be rendered as Zara—another saviour!” (Web Article http://www.askwhy.co.uk/judaism/0180PersiaJudaism.php). The following article will go into greater depth and illuminate the deep nature of the Chaldean Oracles. Where it has been possible to do so, an attempt has been made to, elucidate doubtful or ambiguous expressions, either by modifying the existing translation from the Greek, where deemed permissible, or by appending annotations. It has been suggested by some that these Oracles are of Greek invention, but it has already been pointed out by Stanley that Picus de Mirandula assured Ficinus that he had the Chaldee Original in his possession, “in which those things which are faulty and defective in the Greek are read perfect and entire,” and Ficinus indeed states that he found this MS. upon the death of Mirandula. In addition to this, it should be noted that here and there in the original Greek version, words occur which are not of Greek extraction at all, but are Hellenised Chaldee. Berosus is said to be the first who introduced the writings of the Chaldæans concerning Astronomy and Philosophy among the Greeks,* and it is certain that the traditions of Chaldea very largely influenced Greek thought. Taylor considers that some of these mystical utterances are the sources whence the sublime conceptions of Plate were formed, and large commentaries were written upon them by Porphyry, Iamblichus, Proclus, Pletho and Psellus. That men of such great learning and sagacity should have thought so highly of these Oracles, is a fact which in itself should commend then to our attention. We are indebted to both Psellus and Pletho, for comments at some length upon the Chaldean Oracles, and the collection adduced by these writers has been considerably enlarged by Franciscus Patricius, who made many additions from Proclus, Hermias, Simplicius, Damascius, Synesius, Olympiodorus, Nicephorus and Arnobius; his collection, which comprised some 324 oracles under general heads, was published in Latin in 1593, and constitutes the groundwork of the later classification arrived at by Taylor and Cory; all of these editions have been utilized in producing the present revise. A certain portion of these Oracles collected by Psellus, appear to be correctly attributed to a Chaldæan Zoroaster of very early date, and are marked “Z,” following the method indicated by Taylor, with one or two exceptions. Another portion is attributed to a sect of philosophers named Theurgists, who flourished during the reign of Marcus Antoninus, upon the authority of Proclus,*** and these are marked “T.” Oracles additional to these two series and of less definite source are marked “Z or T.” Other oracular passages from miscellaneous authors are indicated by their names. Oracula Magica , Ludovicus Tiletanus, Paris, 1563. Zoroaster et ejus 320 oracula Chaldaica; by Franciscus Patricius… 1593. Fred. Morellus; Zoroastris oracula. 1597. Supplies about a hundred verses. Otto Heurnius; Barbaricæ Philosophiæ antiquitatum libri duo 1600. Johannes Opsopoeus; Oracula Magica Zoroastris 1599. This includes Commentaries of Pletho and Psellus in Latin. Servatus Gallæus; Sibulliakoi Chresmoi, 1688. Contains a version of the Oracles. Johannes Alb. Fabricius, Bibliotheca Græca, 1705–7. Quotes the Oracles. Thomas Taylor, The Chaldæan Oracles, in The Monthly Magazine, and published independently, 1806. Biblioteca Classica Latina ; A. Lemaire, volume 124, Paris 1823. Phoenix, New York, 1835. A collection of curious old tracts, among which are the Oracles of Zoroaster, copied from Thomas Taylor and I. P. Cory; with an essay by Edward Gibbon. * Josephus, contra Apion. I. *** Vide his Scholia on the Cratylus of Plato. It has been believed by many, and not without good reason, that these terse and enigmatic utterances enshrine a profound system of mystical philosophy, but that this system demands for its full discernment a refinement of faculty, involving, as it does, a discrete perception of immaterial essences. The remains then of this oral tradition seems to exist in these Oracles, which should be studied in the light of the Kabalah and of Egyptian Theology. Students are aware that the Kabalah*** is susceptible of extraordinary interpretation with the aid of the Tarot, resuming as the latter does, the very roots of Egyptian Theology. Had a similar course been adopted by commentators in the past, the Chaldæan system expounded in these Oracles would not have been distorted in the way it has been. The foundation upon which the whole structure of the Hebrew Kabalah rests is an exposition of ten deific powers successively emanated by the Illimitable Light which in their varying dispositions are considered as the key of all things. This divine procession in the form of Three Triads of Powers, synthesized in a tenth, is said to be extended through four worlds, denominated respectively Atziluth, Briah, Yetzirah and Assiah, a fourfold gradation from the subtil to the gross. This proposition in its metaphysical roots is pantheistic, though, if it may be so stated, mediately theistic; while the ultimate noumenon of all phenomena is the absolute Deity, whose ideation constitutes the objective Universe. Now these observations apply strictly also to the Chaldæan system. The accompanying diagrams sufficiently indicate the harmony and identity of the Chaldæan philosophy with the Hebrew Kabalah. It will be seen that the First Mind and the Intelligible Triad, Pater, Potentia, or Mater, and Mens, are allotted to the Intelligible World of Supramundane Light: the “First Mind” represents the archetypal intelligence as an entity in the bosom of the Paternal Depth. This concentrates by reflection into the “Second Mind” representative of the Divine Power in the Empyraean World which is identified with the second great Triad of divine powers, known as the Intelligible and at the same time Intellectual Triad: the æthereal World comprises the dual third Triad denominated Intellectual: while the fourth or Elementary World is governed by Hypezokos, or Flower of Fire, the actual builder of the world. World of Atziluth The Boundless Ain Suph. Chaldæan Theology contemplated three great divisions of supra-mundane things:—the First was Eternal, without beginning or end, being the “Paternal Depth,” the bosom of the Deity. The Second was conceived to be that mode of being having beginning but no end; the Creative World or Empyræum falls under this head, abounding as it does in productions, but its source remaining superior to these. The third and last order of divine things had a beginning in time and will end, this is the transitory Ethereal World. Seven spheres extended through these three Worlds, viz., one in the Empyræum or verging from it, three in the Ethereal and three in the Elementary Worlds, while the whole physical realm synthesized the foregoing. These seven spheres are not to be confounded with the Seven material Planets; although the latter are the physical representatives of the former, which can only be said to be material in the metaphysical sense of the term. Psellus professed to identify them but his suggestions are inadequate as Stanley pointed out. But Stanley, although disagreeing with Psellus, is nevertheless inconsistent upon this point, for although he explains the four Worlds of the Chaldæans as successively noumenal to the physical realm, he obviously contradicts this in saying that one corporeal world is in the Empyræum. Prior to the supramundane Light lay the “Paternal Depth,” the Absolute Deity, containing all things “in potentia” and eternally immanent. This is analogous to the Ain Suph Aur of the Kabalah, three triads of three letters, expressing three triads of Powers, which are subsequently translated into objectivity, and constitute the great Triadic Law under the direction of the Demiurgus, or artificer of the Universe. In considering this schema, it must be remembered that the supramundane Light was regarded as the primal radiation from the Paternal Depth and the archetypal noumenon of the Empyræum, a universal, all-pervading—and, to human comprehension—ultimate essence. The Empyræum again, is a somewhat grosser though still highly subtilized Fire and creative source, in its turn the noumenon of the Formative or Ethereal World, as the latter is the noumenon of the Elementary World. Through these graduated media the conceptions of the Paternal Mind are ultimately fulfilled in time and space. In some respects it is probable that the Oriental mind today is not much altered from what it was thousands of years ago, and much that now appears to us curious and phantastic in Eastern traditions, still finds responsive echo in the hearts and minds of a vast portion of mankind. A large number of thinkers and scientists in modern times have advocated tenets which, while not exactly similar, are parallel, to ancient Chaldæan conceptions; this is exemplified in the notion that the operation of natural law in the Universe is controlled or operated by conscious and discriminating power which is co-ordinate with intelligence. It is but one step further to admit that forces are entities, to people the vast spaces of the Universe with the children of phantasy. Thus history repeats itself, and the old and the new alike reflect the multiform truth. The word “Intelligible” is used in the Platonic sense, to denote a mode of being, power or perception, transcending intellectual comprehension, i.e., wholly distinct from, and superior to, ratiocination. The Chaldæans recognised three modes of perception, viz., the testimony of the various senses, the ordinary processes of intellectual activity, and the intelligible conceptions before referred to. Each of these operations is distinct from the others, and, moreover, conducted in separate matrices, or vehicula. The anatomy of the Soul was, however, carried much farther than this, and, although in its ultimate radix recognised as identical with the divinity, yet in manifested being it was conceived to be highly complex. The Oracles speak of the “Paths of the Soul,” the tracings of inflexible fire by which its essential parts are associated in integrity; while its various “summits,” “fountains,” and “vehicula,” are all traceable by analogy with universal principles. This latter fact is, indeed, not the least remarkable feature of the Chaldæan system. Like several of the ancient cosmogonies, the principal characteristic of which seems to have been a certain adaptability to introversion, Chaldæan metaphysics synthesize most clearly in the human constitution. In each of the Chaldæan Divine Worlds a trinity of divine powers operated, which synthetically constituted a fourth term. “In every World,” says the Oracle, “a Triad shineth, of which; the Monad is the ruling principle.” These “Monads” are the divine Vice-gerents by which the Universe was conceived to be administered. Each of the four Worlds, viz., the Empyræan, Ethereal, Elementary and Material, was presided over by a Supreme Power, itself in direct rapport with “the Father” and “moved by unspeakable counsels.” These are clearly identical with the Kabalistic conception of the presidential heads of the four letters composing the Deity name in so many different languages. A parallel tenet is conveyed in the Oracle which runs: “There is a Venerable Name projected through the Worlds with a sleepless revolution.” The Kabalah again supplies the key to this utterance, by regarding the Four Worlds as under the presidency of the four letters of the Venerable Name, a certain letter of tile four being allotted to each World, as also was a special mode of writing the four lettered name appropriate thereto; and, indeed in that system it is taught that the order of the Elements, both macrocosmic and microcosmic, on every plane, is directly controlled by the “revolution of the name.” That Name is associated with the æthers of the Elements and is thus considered as a Universal Law; it is the power which marshals the creative host, summed up in the Demiurgus, Hypezokos, or Flower of Fire. To the three Souls to which reference has been made, the Chaldæans moreover allotted three distinct vehicles: that of the divine Soul was immortal, that: of the rational soul by approximation became so; while to the irrational soul was allotted what was called “the image,” that is, the astral form of the physical body. Physical life thus integrates three special modes of activity, which upon the dissolution of the body are respectively involved in the web of fate consequent upon incarnate energies in three different destinies. The Chaldæans assigned the place of the Image, the vehicle of the irrational soul, to the Lunar Sphere; it is probable that by the Lunar Sphere was meant something more than the orb of the Moon, the whole sublunary region, of which the terrestrial earth is, as it were, the centre. At death, the rational Soul rose above the lunar influence, provided always the past permitted that happy release, Great importance was attributed to the way in which the physical life was passed during the sojourn of the Soul in the tenement of flesh, and frequent are the exhortations to rise to communion with those Divine powers, to which nought but the highest Theurgy can pretend. Of the Chaldæan Magi it might be truly said that they “among dreams did first discriminate the truthful vision!” for they were certainly endowed with a far reaching perception both mental and spiritual; attentive to images, and fired with mystic fervours, they mere something more than mere theorists, but were also practical exemplars of the philosophy they taught. Life on the plains of Chaldæa, with its mild nights and jewelled skies, tended to foster the interior unfoldment; in early life the disciples of the Magi learnt to resolve the Bonds of proscription and enter the immeasurable region. One Oracle assures us that, “The girders of the Soul, which give her; breathing, are easy to be unloosed,” and elsewhere we read of the “Melody of the Ether” and of the “Lunar clashings,” experiences which testify to the reality of their occult methods. The subtil ethers, of which I have spoken, served is their turn as it were for the garment of the divine Light; for the Oracles teach that beyond these again “A solar world and endless Light subsist!” This Divine Light was the object of all veneration. Do not think that what was intended thereby was the Solar Light we know: “The inerratic sphere of the Starless above” is an unmistakable expression and therein “the more true Sun” has place: Theosophists will appreciate the significance of “the more true Sun,” for according to The Secret Doctrine the Sun we see is but the physical vehicle of a more transcendent splendour. Some strong Souls were able to reach up to the Light by their own power: “The mortal who approaches the fire shall have Light from the divinity, and unto the persevering mortal the blessed immortals are swift.” But what of those of a lesser stature? Were they, by inability, precluded from such illumination? “Others,” we read, “even when asleep, He makes fruitful from his own Strength.” That is to say, some men acquire divine knowledge through communion with Divinity in sleep. This idea has given rise to some of the most magnificent contributions to later literature; it has since been thoroughly elaborated by Porphyry and Synesius. The eleventh Book of the Metamorphoses of Apuleius and the Vision of Scipio ably vindicate this; and, although no doubt every Christian has beard that “He giveth unto his beloved in sleep,” few, indeed, realise the possibility underlying that conception. What, it may be asked, were the views of the Chaldæans with respect to terrestrial life: Was it a spirit of pessimism, which led them to hold this in light: esteem? Or, should we not rather say that the keynote of their philosophy was an immense spiritual optimism? It appeals to me that the latter is the more true interpretation. They realised that beyond the confines of matter lay a more perfect existence, a truer realm of which terrestrial administration is but a too often travestied reflection. They sought, as we seek now, the Good, the Beautiful and the True, but they did not hasten to the Outer in the thirst for sensation, but with a finer perception realised the true Utopia to be within. To this end we are commended to learn the Intelligible which exists beyond the mind, that divine portion of the being which exists beyond Intellect: and this it is only possible to grasp with the flower of the mind. 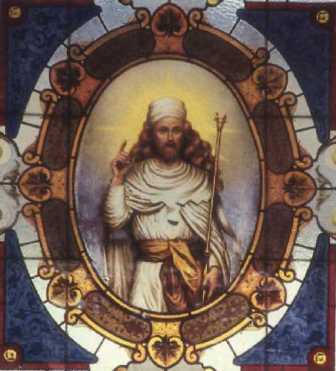 “Understand the intelligible with the extended flame of an extended intellect.” To Zoroaster also was attributed the utterance “who knows himself knows all things in himself;” while it is elsewhere suggested that “The paternal Mind has sowed symbols in the Soul,” But such priceless knowledge was possible only to the Theurgists Who, we are told, “fall not so as to be ranked with the herd that are in subjection to fate.” The divine light cannot radiate in an imperfect microcosm, even as the Clouds obscure the Sun; for of such as make ascent to the most divine of speculations in a confused and disordered manner, with unhallowed lips, or unwashed feet, the progressions are imperfect, the impulses are vain and the paths are dark. The means taken to that consummation consisted in the training of the Will and the elevation of the imagination, a divine power which controls consciousness: “Relieve yourself to be above body, and you are,” says the Oracle; it might have added “Then shall regenerate phantasy disclose the symbols of the Soul.” But it is said “On beholding yourself fear!” i.e., the imperfect self. Everything must be viewed as ideal by him who would understand the ultimate perfection. Will is the grand agent in the mystic progress; its rule is all potent over the nervous system. By Will the fleeting vision is fixed on tile treacherous waves of the astral Light; by Will the consciousness is impelled to commune with the divinity: vet there is not One Will, but three Wills—the Wills, namely, of the Divine, the Rational and Irrational Souls—to harmonize these is the difficulty. It is selfishness which impedes the radiation of Thought, and attaches to body. This is scientifically true and irrespective of sentiment, the selfishness which reaches beyond the necessities of body is pure vulgarity. A picture which to the cultured eye beautifully portrays a given subject, nevertheless appears to the savage a confused patchwork of streaks, so the extended perceptions of a citizen of the Universe are not grasped by those whose thoughts dwell within the sphere of the personal life. The road to the Summum Bonum lies therefore through self-sacrifice, the sacrifice of the lower to the higher, for behind that Higher Self lies the concealed form of the Antient of Days, the synthetical Being of Divine Humanity. These things are grasped by Soul; the song of the Soul is alone heard in the adytum of God-nourished Silence! * This powerful Guild was the guardian of Chaldæan philosophy, which exceeded the bounds of their country, and diffused itself into Persia and Arabia that borders upon it; for which reason the learning of the Chaldæans, Persians and Arabians is comprehended under the general title of Chaldæan. ***Vide Kabalah Denudata, by MacGregor Mathers. ****They renounced rich attire and the wearing of gold, Their raiment was white upon occasion; their beds the ground, and their food nothing but herbs, cheese and bread. 1. But God is He having the head of the Hawk. The same is the first, incorruptible, eternal, unbegotten, indivisible, dissimilar: the dispenser of all good; indestructible; the best of the good, the Wisest of the wise; He is the Father of Equity and Justice, self-taught, physical, perfect, and wise—He who inspires the Sacred Philosophy. This Oracle does not appear in either of the ancient collections, nor in the group of oracles given by any of the mediaeval occultists. Cory seems to have been the first to discover it in the voluminous writings of Eusebius, who attributes the authorship to the Persian Zoroaster. – Proclus on the Timæus of Plato, 244. Z. or T.
The Egyptian Pantheon had an Elder and a Younger Horus—a God—son of Osiris and Isis. Taylor suggests that He refers to Kronos, Time, or Chronos as the later Platonists wrote the name. Kronos, or Saturnus, of the Romans, was son of Uranos and Gaia, husband of Rhea, father of Zeus. Cory includes this Oracle in his collection, but he gives no authority for it. Lobek doubted its authenticity. 4. For the Eternal æon* —according to the Oracle— is the cause of never failing life, of unwearied power and unsluggish energy. – Proclus in Theologiam Platonis, 321. T.
6. The Chaldæans call the God Dionysos (or Bacchus), Iao in the Phoenician tongue (instead of the Intelligible Light), and he is also called Sabaoth,* signifying that he is above the Seven poles, that is the Demiurgos. – Lydus, De Mensibus, 83. T.
– Proclus in Theologiam Platonis, 212. T.
– Proclus in Theologiam Platonis, 386. T.
– Psellus, 38 ; Pletho. Z. This implies—but only from a succedent emanation. 11. The Father hath apprehended Himself and hath not restricted his Fire to his own intellectual power. – Proc. in Tim., 167. T.
13. All things have issued from that one Fire. The Father perfected all things, and delivered them over to the Second Mind, whom all Nations of Men call the First. – Psellus, 24; Pletho, 30. Z. 14. The Second Mind conducts the Empyrean. World . – Damascius, De Principiis. T.
– Proclus in Platonis Theologiam, 365. T.
– Proclus on the Cratylus of Plato. 18. …After the Paternal Conception I the Soul reside, a heat animating all things. …For he placed the Intelligible in the Soul, and the Soul in dull body, Even so the Father of Gods and Men placed them in us. – Proclus in Tim., Plat., 124. Z. or T.
– Proclus in Tim., 106. Z. or T.
Dominion, krata: some copies give kerata, horus. – Psellus, 28; Pletho, 11. Z. 21. The channels being intermixed therein she performeth the works of incorruptible Fire. – Proclus in Politica, p. 399. Z. or T.
– Proclus in Theologiam, 333, and Tim., 157. T.
– Proclus in Parm. Platonis. T.
24. And thence a Fiery Whirlwind drawing down the brilliance of the flashing flame, penetrating the abysses of the Universe; for from thence downwards do all extend their wondrous rays. – Proclus in Theologiam Platonis, 171 and 172. T.
– Proclus in Euclidem, 27. T.
– Damascius De Principiis. Taylor. 27. And beside Him is seated the Dyad which glitters with intellectual sections, to govern all things, and to order everything not ordered. – Proclus in Platonis Theologiam, 376. T.
– Proclus in Parmen. T.
– Proclus, Timaeus of Plato. T.
– Lydus, De Mensibus, 20. Taylor. – Proclus in I. Alcibiades. T.
33. For thou most know that all things bow before the Three Supernals. 34. From thence floweth forth the Form of the Triad, being preexistent; not the first Essence, but that whereby all things are measured. – Anon. Z. or T.
– Damascius in Parmenidem. T.
37. The First Course is Sacred, in the middle place courses the Sun,* in the third the Earth is heated by the internal fire. *Jones gives Sun from Hellos, but some Greek versions give Herios, which Cory translates, air. 38. Exalted upon High and animating Light, Fire, Ether and Worlds. – Simplicius in his Physica, 143. Z. or T.